Canadian company ARDA Power and Austria-based Gildemeister energy storage GmbH are collaborating on a DC-linked microgrid in Burlington, Ontario. The DC-linked microgrid will include multiple energy sources (among them solar and gas generation), energy storage, and direct current and alternating current loads. The sources, storage and loads will all be integrated onto a single DC bus using the ARDA DC Microgrid Platform. The platform provides for increased efficiency, reduced cost and improved resiliency, while enabling the provision of ancillary services to the AC grid, according to ARDA Power. Gildemeister energy storage GmbH will supply its 20kW/100kWh CellCube flow battery system equipped with an ARDA Battery DC-DC Converter. The energy storage system plays a central power and energy management role in ARDA’s DC microgrid platform. Prior to the installation, the companies will develop and test all necessary interfaces between the CellCube battery and ARDA’s DC Microgrid controls. The DC-linked microgrid project will be located on a commercial roof in Burlington, Ontario. The project is being funded with grants and collaborator contributions, including a CAN $400,000 grant from Sustainable Development Technology Canada. Located in Oakville Ontario, ARDA Power was founded in 2009 based on technology originally developed out of the University of Toronto. ARDA Power is already selling components of the DC-linked microgrid platform including a battery DC-DC converter and a bidirectional DC-AC inverter. The company expects to begin selling a DC microgrid product, based on its platform, in 2017. WindStax Wind Power Systems says it has been quietly installing behind-the-meter wind-powered microgrids since 2013. Called ZeroFirst, its vertical axis system uses wind energy and batteries that act as a primary source of electricity; the grid acts only as a last resort. The turbines power homes homes, manufacturing plants, and even a trucking terminal in the Pittsburgh region, according to the company. 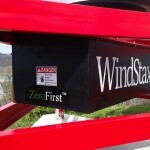 “ZeroFirst is a paradigm shift in alternative energy,” says Ronald Gdovic, CEO of WindStax. While debate continues over how self-generation fits into the century-old public utility business model, the company is installing wind-powered microgrids “for customers who recognize the benefits of generating and consuming their own power right now. Net zero is the goal,” he says. The systems can be net metered; however, WindStax says it is able to eliminate many soft costs by installing its wind-powered microgrids behind the meter. The company is now expanding production and plans to establish distributorships in the US and abroad in 2016. Four companies won the grants: Chargepoint, EV Connect, NRG EV Services and Recargo. They will install 61 DC fast chargers at 41 sites along major routes on Interstate 5, Highway 99 and Highway 101.Fast chargers allow vehicles to fully charge in 20 to 30 minutes. In addition, 40 sites will have one Level 2 charger, and one site will have two Level 2 chargers. Level 2 chargers allow most vehicles to go from zero to full charge in four to eight hours. Several plug-in electric vehicle charging networks currently operate in metropolitan areas. However, private industry has been hesitant to develop sites along highway corridors. Got a good energy idea? The U.S. Department of Energy is expanding its online crowdsourcing community, which gives building technology innovators a chance to partner with a DOE national laboratory and a leading private sector partner. Ideas are now being accepted for six open calls for innovation. The crowdsourcing community, called JUMP (#jump4innovation), was first launched by Oak Ridge National Laboratory in 2015. Today, it has expanded to be co-hosted by five DOE national laboratories and some of the top private companies in the buildings sector. JUMP stands for Join in the discussion, Unveil innovation, Motivate transformation and Promote technology-to-market. The goal is to broaden the pool of people from whom DOE seeks ideas and to move these ideas to the marketplace faster. The participating national labs are Argonne National Laboratory, Lawrence Berkeley National Laboratory, National Renewable Energy Laboratory, Pacific Northwest National Laboratory and ORNL. Together the labs offer a crowdsourcing platform for innovators, particularly small entrepreneurs, to present ideas for new technologies for energy-efficient buildings to private and public sector leaders in research and development. Industry partners are A.O. Smith, Building Robotics, Clean Energy Trust, CLEAResult, Callida Energy, Emerson Climate Technologies, General Electric, Honeywell, IntelliChoice Energy, and United Technologies Research Center. Working with the labs, industry partners are offering challenges focused on building technologies, including appliances, building envelope, building analytics and information systems, lighting, heating and cooling systems, and sensors and controls. JUMP includes opportunities for innovators to comment and vote on ideas. This community discussion helps DOE and its partners gauge the market’s interest in the topic and potential solutions. A judging panel evaluates top ideas based on their potential for significant energy savings, novelty, and technical, market, and economic feasibility. Innovators get connected to industry partners and may qualify for cash prizes, in-kind technical support, and recognition. Innovators are encouraged to view the JUMP technology challenges and submit their ideas. Industry stakeholders interested in crowdsourcing a pressing technology challenge are invited to contact the JUMP Team to get involved. We’d like to know what you think about microgrids. 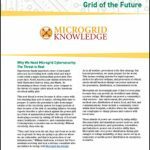 Please take the Microgrid Knowledge survey. It’s quick!